Kyiv-based agency Celestial is stirring up the finest underground music destinations in Europe. 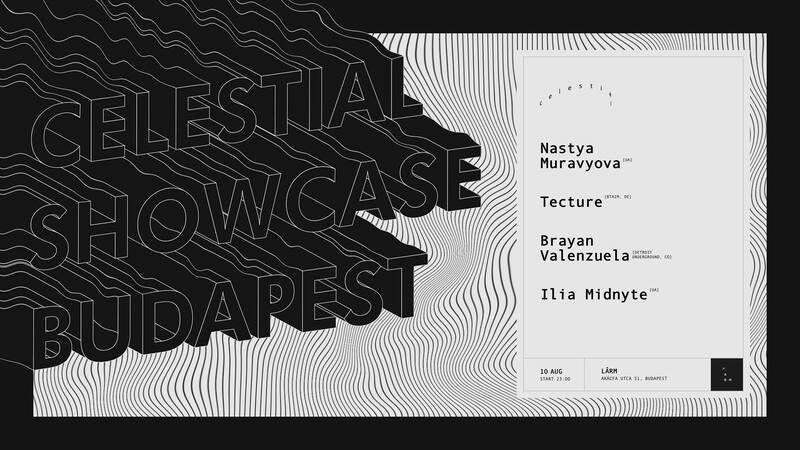 The second showcase takes action at Budapest noisiest techno club LÄRM. cosmic harmony and order appear to us in the form of music that becomes an expression of the ideal in real things. we merge with the celestial world in the sound of spheres giving humanity a way to break through into the infinite.